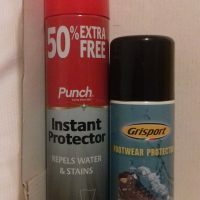 Brand new spray cans of footwear protector and waterproofer. 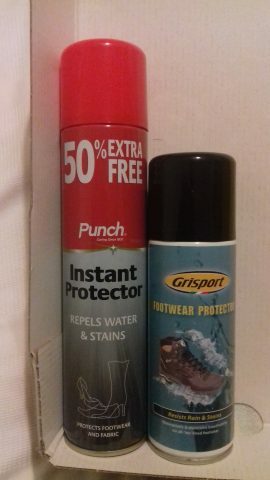 Resists rain and stains. Large tin £3.50. Smaller £2.50 or both £5.